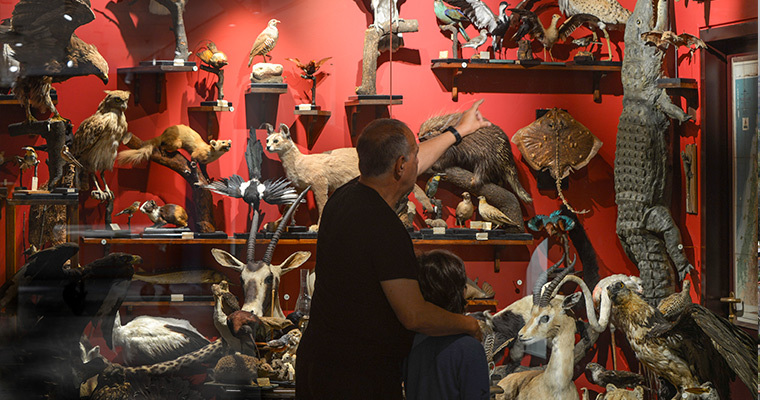 While you may think of the well-known Natural History Museums of New York or London, Tel Aviv has made a stunningly impressive start to showcase the natural history and biodiversity of the region and the wider world with the Steinhardt Museum of Natural History. Opened to the public in September 2018, this innovative new museum has embraced a hands-on multimedia and touch-screen approach and is expected to become an important cultural attraction for thousands of families, school children, nature lovers, tourists and scientists from around the world. Next to Tel Aviv University, the intriguing five-story building has been uniquely designed to resemble a unique treasure chest, covering more than 9,620 square meters of exhibits, display spaces of 5.7 million items and 12 research laboratories for the museum’s scientists. The architect—Michal Kimmel-Eshkelot—created the museum’s façade, by installing a ‘treasure chest’ raised above street level. After the building’s completion, it was also described as striking a resemblance to Noah’s Ark—a storehouse of nature’s treasures for future generations. And a storehouse it is as you can stroll through nine themed exhibition galleries. 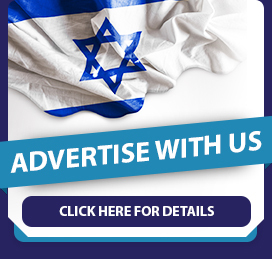 Learn about the fascinating Great Bird Migration, and how Israel is a center of migration for 500 million birds, each year using Israel as a land bridge between Europe, Asia, and Africa. The creepy and exciting Bugs and Beyond exhibition includes 17 terrariums housing live insects and other creepy crawlies, such as the Madagascar hissing cockroach, Australian walking stick, predatory flea, and American grasshopper, as well as different species of spiders, butterflies, and ants. The Human Impact exhibition is an interactive digital exhibition that shows how people have influenced nature and biodiversity in Israel, through visual demonstration of the consequences for the landscapes of Israel and the surrounding region during the past 200 years. 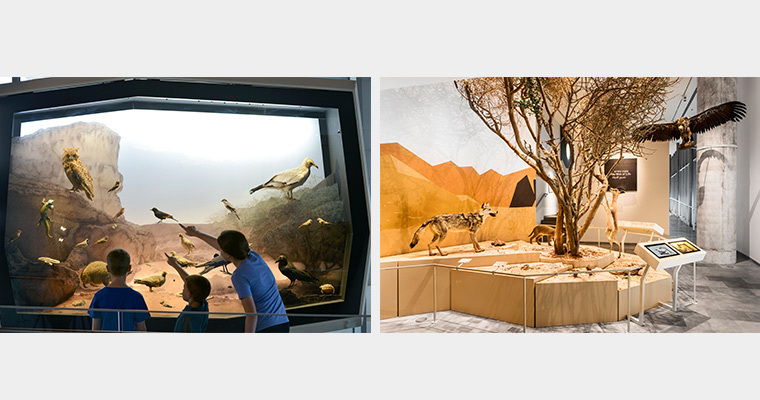 The thought-provoking Web of Life exhibition looks at the interconnection of our world and the natural world through the use of an acacia tree—a source of life for the gray wolf, caracal, and spiny-tailed lizard, among others. From the sandy desert of the Negev to the peaks of Mount Hermon, Israel’s Landscapes exhibition explores the impressive range of habitats in Israel and contains six large dioramas of over 120 display items including the greater Egyptian gerbil, European snow vole and desert hedgehog. Learn about some of the millions of specimens that reflect the natural history of Israel and the surrounding region, and hear the story of biodiversity in Israel and the Middle East over the last few hundred years. Many of the items on display in Treasures of Biodiversity include species that have become extinct, including a bear, an Asiatic cheetah, the last leopard from Beit Horon and the last crocodile from the Taninim River, all of which belong to the Schmitz collection, predatory birds and other unique birds, including the only albatross spotted in Israel’s skies. Originally posted at Dan Hotels.